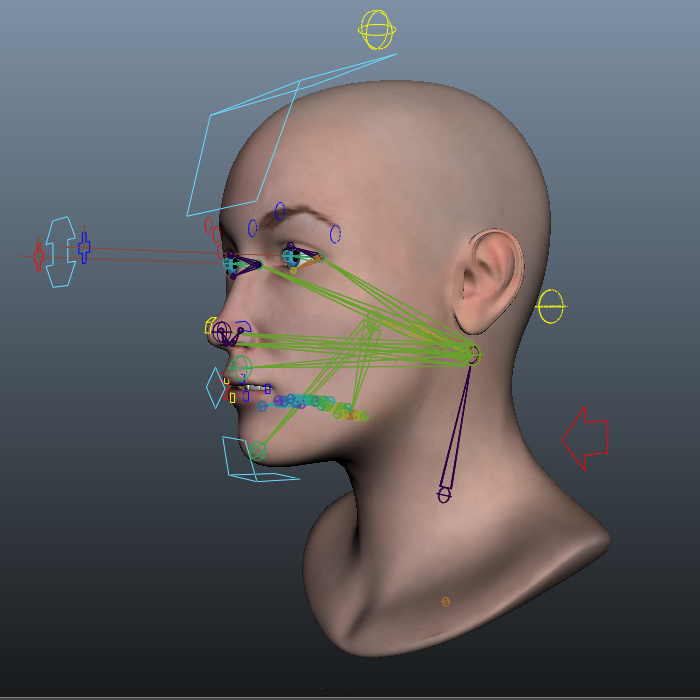 This facial rig is mostly joints with curves and clusters rigging the brows and lips. There are custom attributes to facilitate cheek puffs, lips curls, nostril flares, tongue curls, and other typical movements, like chewing. Model from Pluralsight. Video music by bensound.com. See it in action here.